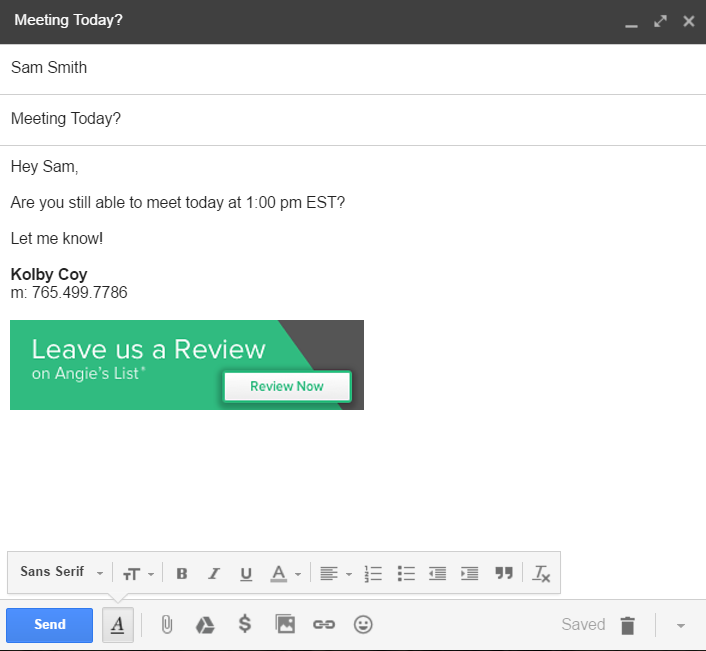 Sigstr Viral gives customers the opportunity to invite third party affiliates to share Sigstr campaign banners through their email signatures. Ensure partners, sponsors, volunteers, and distributors promote your most important marketing initiatives in every sent email. The best way to magnify the power of email signature marketing is to maximize the amount of exposure your Sigstr campaigns receive! For customers using Sigstr Viral, Sigstr will provide a public-facing Viral Install Page where visitors will find installation instructions. The step-by-step guide will instruct visitors to copy the campaign banner and paste it into any email client they choose, as long as it supports HTML based signatures. For those individuals who install the campaign, the signature banner will be present when composing any new email message. Once an email has been sent, if the email recipient clicks on the banner, he or she will be taken to a specified landing page of your choosing. Campaign views, clicks, and the CTR will all be tracked by Sigstr, as well as the users who have installed the Viral Campaign. Does Sigstr limit the number of individuals who can install a Viral Campaign? Sigstr does not limit the number of users who can install the Viral Campaign and encourages customers to promote the opportunity to as many sponsors, partners, volunteers and distributors as possible! Can customers centrally control and change campaigns on the fly? Because Sigstr Viral Campaigns are installed with a simple copy & paste process, we cannot guarantee the ability to dynamically update campaign images. While many email clients, including Gmail, will render campaign updates, some versions of Outlook will embed the image, and the campaign will not change when updated in Sigstr. For that reason, we encourage you to make sure the first campaign you promote is one that is applicable long term. What analytics are available in Sigstr Viral? Sigstr records analytics for campaign views, clicks, and CTR. Granular analytics per-sender, per-group, and per-recipient are not tracked. Will customers know who has installed their Sigstr Viral Campaign? Yes. A valid email address is required in order to install a Sigstr Viral Campaign. Sigstr tracks these emails and can provide a report as needed. How do customers know how their Sigstr Viral Campaign is performing? A performance report will be provided as needed by a Customer Success Manager. A reporting interface for direct customer access will be provided in the future. Can Sigstr Viral Campaigns be tracked in Google Analytics or other analytics tools? Yes. Sigstr’s standard UTM tracking parameters are used when redirecting clicks to the campaign’s landing page. Custom tracking parameters can also be added to the campaign URL. Are Internal or ABM Campaigns supported with Sigstr Viral? No. Sigstr Viral Campaigns have no visibility into recipient level data, and therefore cannot be re-targeted.